Freshly whipped cream and a few fresh mint leaves. Add water slowly to moisten the flour. Press into 2 equal size balls and roll out 1 ball on a lightly floured surface. Wrap the other ball in plastic wrap and freeze for another pie. 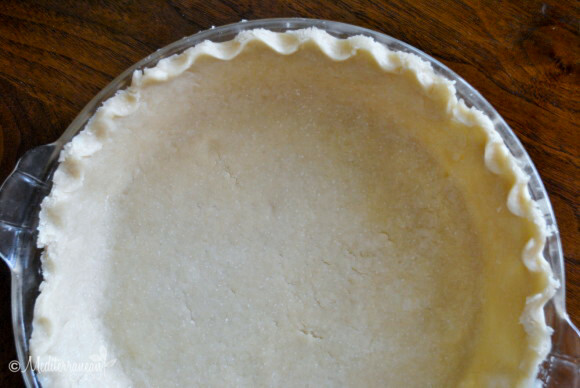 Lay the pie crust into your pie dish, pressing the edges with your fingers to finish. 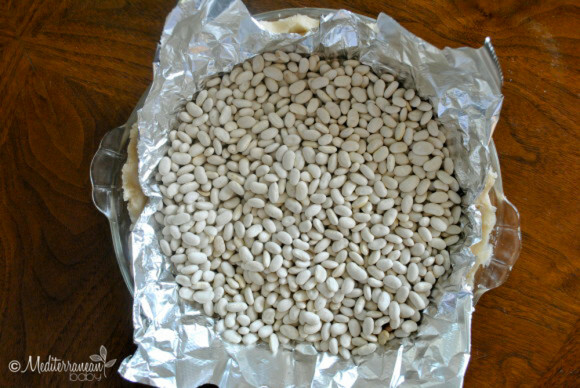 Place a piece of foil in the pie crust and fill with 3-4 cups dry beans. Bake for 20 minutes until golden brown. Discard foil and beans. Combine remaining strawberries, vanilla, cornstarch, and sugar in a medium bowl. In a large saucepan, over medium-low heat, melt butter and then add strawberry mixture into the pan. Add Brandy and continue to reduce for 5 minutes. 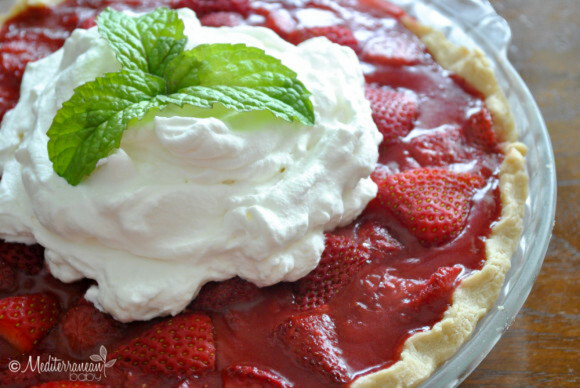 Fill the pie crust with the stawberry filling. 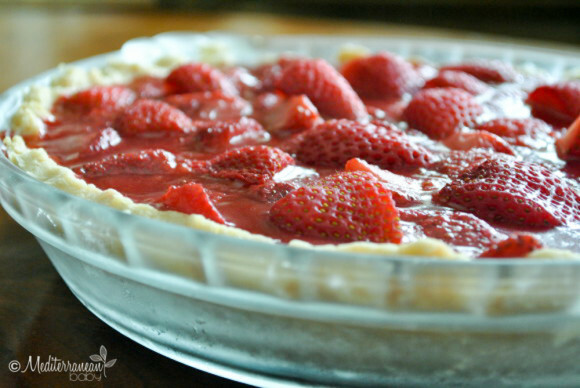 Top with remaining fresh strawberries and chill in the refridgerator for 3-4 hours. 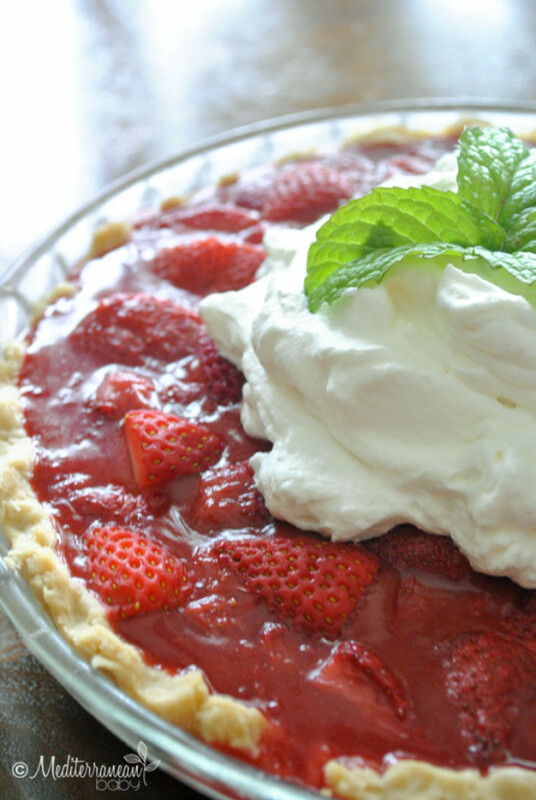 Top with freshly whipped cream and a few fresh mint leaves. Ohhhhhhhh! Looks delicious! One of my favorites! I forgot about the beans in the pie crust, haven’t made one for a long time but now I’m even inspired.